No more struggling to put on a bib or waiting for assistance. No snaps, ties or Velcro to deal with. 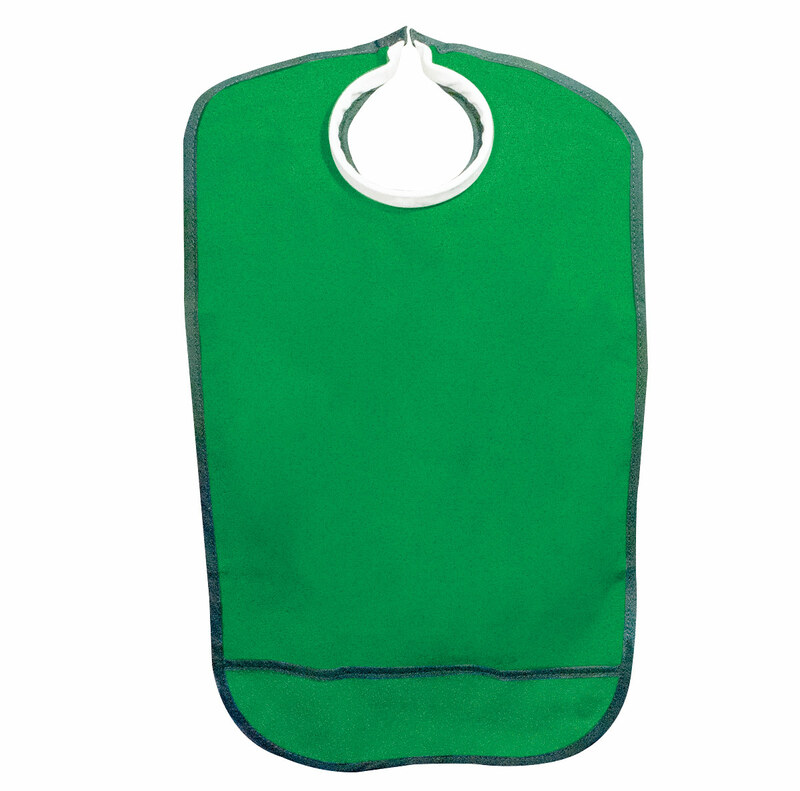 The Quick Bib Clothing Protector was designed for easy, independent use. Just spread the ring and slide it on! Reaching behind your neck to secure fasteners is awkward and tricky. Snaps, ties and other closures can be difficult for those with arthritis, limited dexterity and physical challenges. Quick Bib uses a flexible "C" shaped ring sewn into a comfortable collar. It easily spreads open so you can place it on your shoulders and stays in place until you're ready to remove it. Great for use at home and assisted living facilities. Handy for eating and drinking while driving or riding in a car. 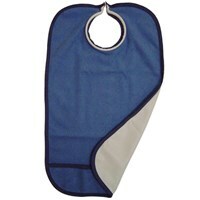 Machine washable and dryer safe without removing the neck ring. Made of terry cloth with vinyl backing and a crumb catcher. Designed for all ages. Note: The larger the neck size, the larger the bib. Shoulder width matches neck size. (Ex. 18" neck equals 18" shoulder coverage.) Length ranges from 19" to 27" depending on size chosen.